Colin Green Photography: My Top 5 Pictures on Flickr. My Top 5 Pictures on Flickr. I am just taking a moment to share my top 5 pictures and stats on Flickr. Clickasnap will be posted separately. Included will be stats, camera used and date taken underneath each. I will try and update these every month or so. The former Walkley's Clog Mill, Nr Hebden Bridge. I took this using a Samsung Galaxy Tablet on the 24th November 2013. I recently revisited and took some more pictures of the mill which despite nearly 5 years having passed has seen no significant development, I will upload these in the coming weeks. Taken using a Samsung Galaxy Tablet on the same day as the set above. I took this whilst out exploring the area around the Summit Tunnel that runs underneath the Pennines between Walsden, West Yorkshire and Littleborough, Greater Manchester. It was taken on the hill above using a Samsung Galaxy Tablet on November 14th 2013. 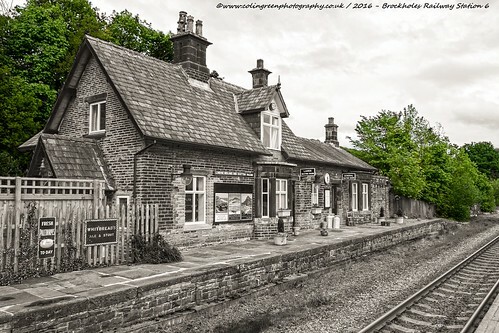 One of my personal favourite pictures, I took this at Brockholes Railway Station near Huddersfield, West Yorkshire on the 21at May 2016. The station buildings shown are now a private house with only the platform I was stood on providing train services now. I took this using a Nikon d3300 SLR. By far and away my most popular picture, I only wish I knew why people enjoyed it so much. I took this on New Years Eve December 31st 2016 using a Nikon d3300. 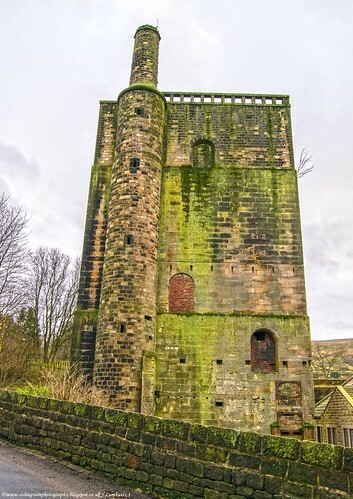 The picture shows a disused former water tower at Lumbutts near Todmorden, West Yorkshire. These are my current top 5 pictures available to view on Flickr. Please take a moment to share my pictures and post's.